UAS Laboratory Services is an independent, accredited lab specializing in asbestos testing in both airborne and bulk asbestos fiber analysis. Our laboratory services are supplied to UAS in-house projects as well as other environmental service consultants in and around the Chicago area. 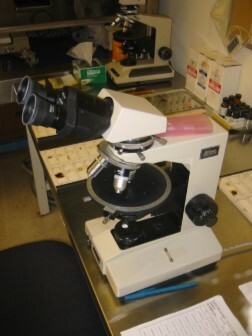 Customers of United Analytical Services utilizing our lab services have the benefit of a full service asbestos lab on site at our offices in Downers Grove, Illinois. The Lab is directed by Kevin Aikman, PH.D., CIH, FAIHA and is managed by a highly skilled professional analyst with over 25 years of experience in asbestos lab analysis. UAS is audited every two years by NIST NVLAP, is accredited and follows ISO standards. 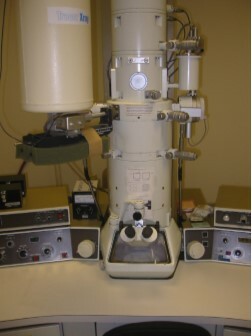 UAS’ lab owns and operates a JEOL, Model JEM-100CX II Transmission Electron Microscope (TEM) for asbestos air and bulk analyses. UAS Laboratory Services is accredited by the National Voluntary Laboratory Accreditation Program NVLAP Lab Code 101732-0. UAS Lab participates in the NIST NVLAP Accreditation Program for asbestos bulk sample identification and analysis using Polarized Light Microscopy (PLM) and for asbestos airborne fibers using Transmission Electron Microscopy (TEM). UAS' air sample analysts meet the required criteria and have obtained approval from the Registry Program Board to participate in the Asbestos Analysis Registry - AAR Proficiency Program for Phase Contrast Microscopy (PCM). Download the Chain of Custody now. Download the Terms and Conditions now. Contact us to schedule time to get your sample tested at an accredited lab. United Analytical Services, UAS is an environmental professional services firm specializing in the assessment, design and project management for asbestos, indoor air quality, mold and lead based paint. The company also provides environmental services Phase I, Phase II and Phase III as well as compliance services. Copyright © 2014 - 2019 United Analytical Services. All rights reserved.